Social Stories break down social and behavioral skills into smaller steps that are simple and easy to understand. Talking about getting lost and teaching about community safety can be a scary, or daunting task. These two social stories teach what to do to stay safe in the community with simple descriptive language and fun illustrations. These social stories provide a vocabulary for you to talk about these important skills with your child, student or client. The “stranger danger” style of teaching that we all grew up with may not be the best way to teach community safety to children. Teaching this may actually scare children and make them too frightened to ask for help if they are lost in the community. 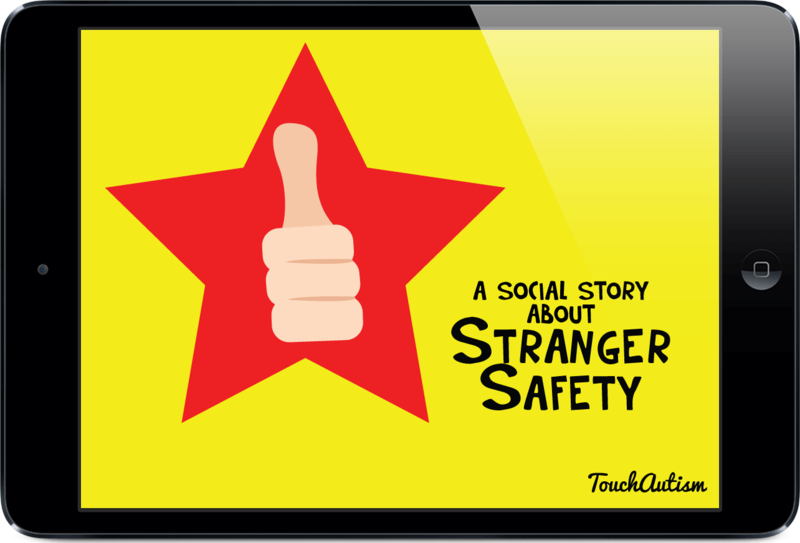 Instead of simply teaching children to be afraid this story teaches the “safer strangers” approach. 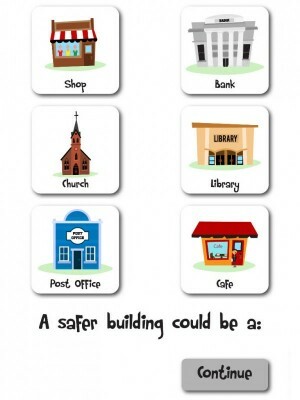 This focuses on teaching children proactive strategies to find help from a safe place if they need it. 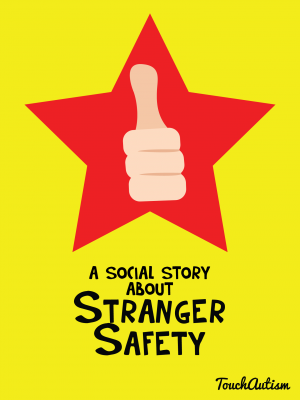 The story talks about what to do if approached by a stranger, and also talks about which strangers, like librarians, police or paramedics are “safe to talk to” if you need help. 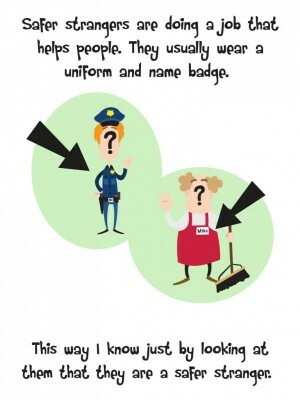 This teaches children that if they do need help out in the community who they should or should not approach to ask for help. 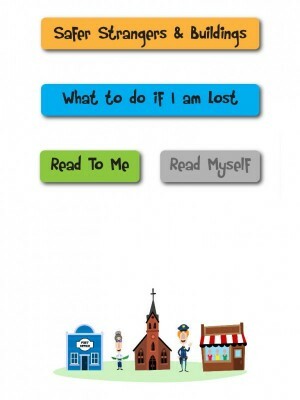 The second social story in the app teaches what should be done if a child finds themselves lost. 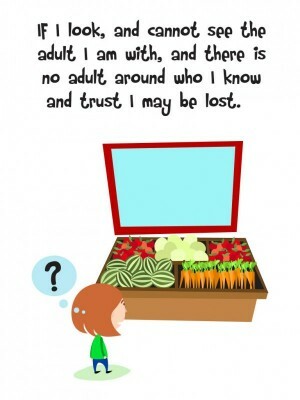 It explains what “lost” means in simple, easy to understand language. 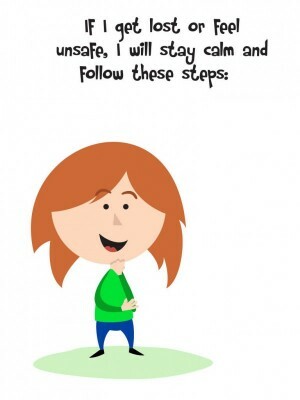 It then goes on to teach simple, proactive steps that children can follow to get to safety immediately. Hopefully with these steps in place children who do find themselves lost can quickly and confidentially get themselves to safety. This can be a scary situation for any child and having steps in place to follow can empower them and help them feel calmer when faced with this situation. Love it! 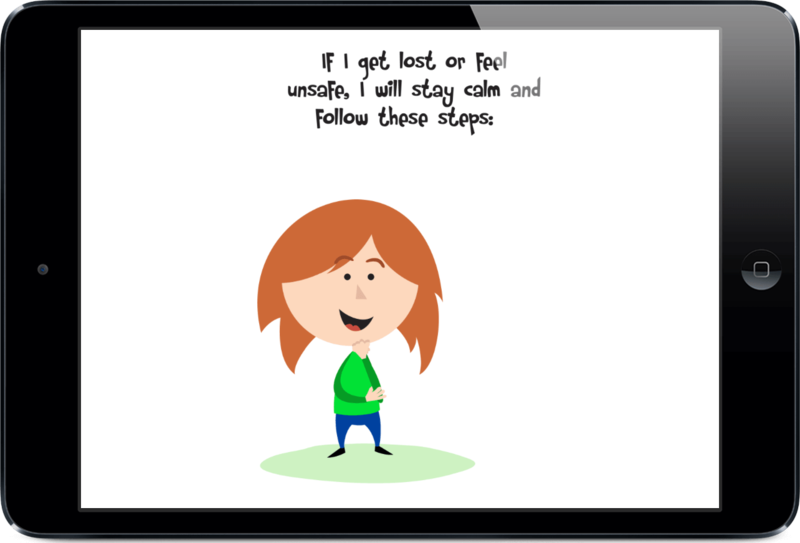 – Great for teaching kids which strangers are safe to talk to if they are lost. My son has Autism and he found it easy to follow and fun. I highly recommend it!